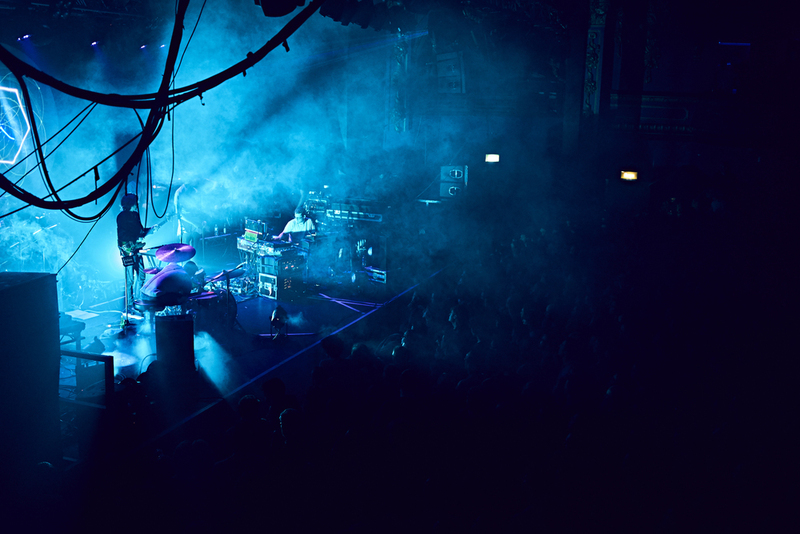 The entire Electric Brixton goes suddenly silent as Floating Points takes the stage; the usual cacophony of noise succumbs to the familiar sounds of 'Silhouettes (I, II & III)', slowly building, almost indiscernible to begin with but soon dominating the venue. Sam Shepherd, the mastermind of Floating Points, is joined on stage by a sizeable orchestra, including a string quartet and brass section. Along with the bass and guitar, they weave complex crescendos around the incessant, jazz-infused drum parts and Sam's meandering, recognisable synth style. Incense on stage forms delicate strings of smoke which lazily drift out into the cavernous space. Shepherd's playing takes the set through minimal moment with tracks such as 'Elaenia' and builds to the orchestral apex of 'Argenté' and 'Nuits Soneres'. Noisy crowd members are regularly shushed as the sold out venue holds on to every note drifting into the haze. As I join the rest of the stoney-faced, transfixed crowd, I can't help but be transported to my teenage years and playing 'Kid A' back to back. Except this time, the dark and sonorous sampling and looping is imbued with the lighter and more rhythmic influences of jazz and orchestral arrangement. I'd like to suggest it's this, combined with Sam Shepherd's very unapologetically central and live-feeling electric piano, that takes Floating Points from sonic enthusiast to the kind of artist that can fill the Electric Brixton two nights in a row. I can't help but be hooked by the unrelenting drum parts grounding the operation - driving the waving and weaving harmonies from one place to another, invoking them to louder and more deliberate places. 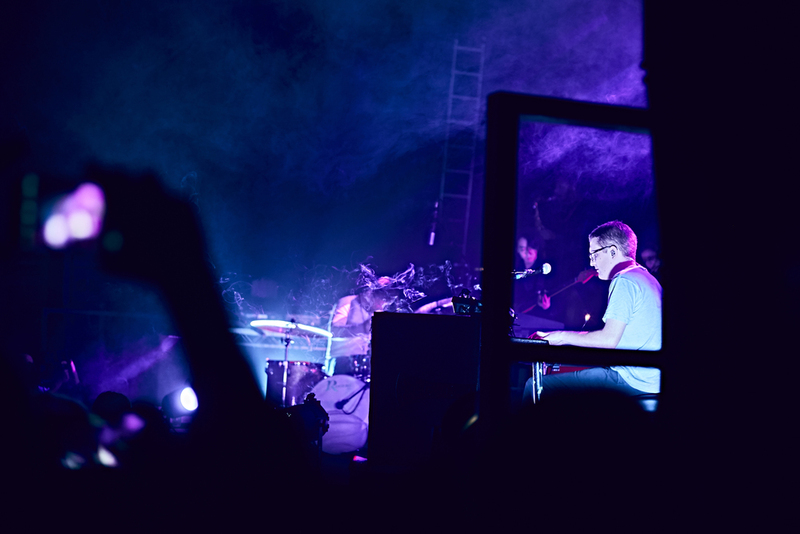 Floating Points swiftly emerge for an encore for their rapturous crowd. I knew in my heart they weren't going to play 'Marilyn', although I secretly hoped. I'm clearly trapped in the past as Floating Points moves on to a jazzier and more widely appreciable future.